The big talk on everyone’s lips at present is in relation to the new property tax. Letters for the new tax started being sent out by the Revenue Commissioners at the start of this week with the estimated 1.6m householders liable for the new charge expected to receive one inside the next three weeks. The new charge has certainly caused some confusion though, most notably in relation to what each person is expected to pay. Last weekend the Revenue Commissioners launched their valuation guide, which is based on the average price of certain types of houses in each electoral area of the country. This has led to great frustration though as many people with smaller homes in particular areas are seeing their neighbours with bigger homes getting away with falling into the same valuation band as them. In yesterday’s Irish Times, Conor Pope offered a few examples of homes that were falling through the loophole. One was 38 Brighton Road in Rathgar, Dublin 6, which sold for €1.1m in September 2011, which means it should be liable to a property tax of €2,005. However, according to the Revenue’s valuation for the area, it is valued between €500,000 and €550,000, making it liable for a tax of €945 – more than half of what you’d expect that homeowner to pay. Of course, this guide is very rough and even MyHome’s Property Tax Estimator, which we feel is more thorough and accurate, cannot guarantee an exact valuation for your home. The only way to ensure that is to get a valuation from an estate agent but it would probably not be feasible for 1.6 million homes to be valued between now and the deadline for the return of documents in May. Are you confident you know the true value of your property? 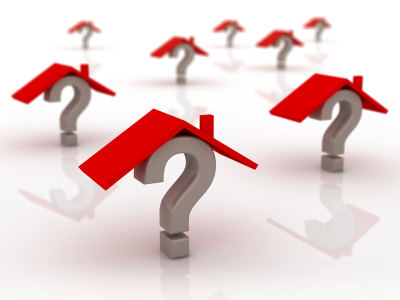 Do valuation guides over or undervalue your home? Do you feel the entire process is fair? Will Muldoon's speech rock the banks into action? Do not use the revenue web site to submit anything to do with the property tax. Use the post only and swamp them with paper. When making payments only pay by cash through one of their payment providers on a weekly or monthly basis. Our house was way overvalued.4 bed semi-detached circa built 1946. We were valuedthe same as three storey georgian terrace houses on our road at €500,000 to €550,000.Our true value is between €400,000 and €450,000. (myhome.ie and daft calculators and recent sales in the area). The goeorgian houses however are way undervalued as one sold recently in the region of €750,000.This was pure laziness on revenue valuation site.One road with four different road names and entirely different style houses classed as one road by revenue and all lumped in together. My house is in a rural area outside of the town. It is a 4 bedroom property of about 1800 sq feet. Across the road is a small cottage of about 800 sq feet built in 19th century and in bad repair. Both houses are banded as the same at 250,000€. How can we both pay the same amount of property tax? Its not fair on someone, notably the owner of the cottage. The whole system has been badly thought out. Self assessment is not going to work. Local authorities should make arrangements for each property in their area to be assessed. Not everyone lives on a housing estate wih idenical houes of similar specification. Something else in Ireland smacks of breathtaking incompetence and looks like no good will come of it for anybody. Revenue’s estimates are averages over an entire electoral area, are simplistic in the extreme, consider only 4 types and two time periods, i.e. 8 basic types in total. It could have been done by a primary school pupil with access to the Property Price Register. This is pathetic. I despair. MyHome.ie and Daft.ie are marginally better but not by much. its worth what someone would pay and very few sales are happening.enda kenny called it a vampire tax. how in Gods name can they give this cruel,unfair tax. You’re right about amenities and services. But don’t forget we’re paying for those amenities and services already. This is another interesting subject, the gross injustice of which nobody appears to have studied OR COMMENTED UPON. Of the two apartment complexes in my locality in Dublin, of which I have intimate knowledge, the developers have set out a charge structure which is in inverse proportion to the size of the apartment! That is to say that the owner of a two bedroom apartment pays less than the owner of a one bed apt, and ditto for three and even four bed apts which have the lowest management charge of all! This is totally contrary to common justice and standard practice in all other European countries where the management fee is proportional to the size of the apartment. That developers were permitted to engage collectively in this nation wide “stroke” in order to encourage sales of bigger more expensive apartments by a Fianna Fail government; is to my mind tantamount to criminal. It will now come back to haunt NAMA, of course, AS NOBODY is going to pay any kind of money for small apartments AGAIN, which have an extortionate management fee (which is attached to the deed for ever and cannot be changed) and are faced with new water and property taxes on top of it all. I agree completely with this correspondent,which is why I am not going to engage with Revenue or respond to their letters or threats. if everyone elso did the same this tax would collapse in disarray. “you have nothing to fear but fear itself”,particularly if you are in negative equity on modest income. no judge in the land will permit Revenue to attach your bank account or your wages if you present your circumstances before an appeals court. There has to be an appeals process before Revenue can try to take your money from any source. If thousands of people demand an opportunity to put their case before an appeals court they must in common justice prevail. I reiterate,do not be afraid of going to an appeals court if you are in difficult circumstances. This is a very unfair tax that will stagnate property prices in an already under valued market. A fairer tax would be 10 cent for every day lived at a property capped at 10years…1st year €36.50,2nd year €73.00 – 10th year €365.00 etc. 1.New buyer who have just paid Stamp Duty would give them an easier start. 2.Anyone changing home would be starting back from scratch and so encourage then rather then discourage them to move house. 3.Everyone knows the dates they moved in and can easily be checked with the solictor. It makes working out the tax due very easy. 4. This would encourage people who like to move and keep a stronge and healthy property market which would also lead to employment across the board for estate agents, solictors, surveyors,bankers,mortgage brokers, builders etc. 5.Most building work in older homes is carried out shortly after purchase and this is great for small builders and employment. Rita is spot on. In my opinion we have clowns running this state at the moment. You cannot get blood from a stone.How can this government enforce tax after tax on the people who did not cause the problems we are dealing with today. The worst leaders Ireland has ever seen caused this crisis and walked away with shed loads of cash. The existing leaders have no clue how to rectify the problem their answer is only to say if you can afford UPC you can afford more taxes. The British state did not hurt the working class of this country as much as our own government is doing right now.We all know taxes have to be paid but when it is unfair the line should be drawn. We can not get out of this recession without money in our pockets to spend. You have a choice here. Pay pay pay for crap services or insist on a full detailed printout from government as to where your money is being spent, you will find most of it is going to line their own pockets. Happy Paddys Day. June, Dublin is not ‘paying for the rest of the country’. The total of ALL taxes raised from Dublin residents does not meet the cost of providing all the services and amenities available to its residents. In my area there is no comprehensive education service, health service, public transport, water and sewerage treatment and so on. I don’t even get refuse collected from my home. Try visiting rural Ireland and see for yourself where the majority of the tax raised is spent. Now I have no clue as to what is the value of my property. I would like to think I could get on the open market what I think it is worth, but then I do not know what the open market value is, and therefore. I had thought a professional valuation, and then I thought God between us and all harm,wasent it them lads that got us in this mess already ?? So I thought better of what would have to be regarded as a bit of a costly hair raising experience,and now I am left with little or no option but to value it my self, only problem I HAVE NO CLUE AS TO THE VALUE OF MY PRECIOUS HOUSE. So I guess it is Kenny & Company for my valuation. God Help Me. (poor Country Lad)Paying for everything, and getting nothing, Not like them smart city slickers GOD LOVE THEM,always complainin, and getting everytin free,yes free. I agree with Rita, people are going to think carefully before carrying out home improvements especially to the exterior of their homes, as they won’t want to increase its apparent value. But how much is your house worth ? What you paid for it ? What a neighbour paid for a similar house ? What the person across the road paid ? What the revenue map says ? or maybe what an optimistic estate agent says ? I know of two houses similar to mine(same size/design) that have sold in the past year, one sold for nearly 20% more than the other. The sale prices are in two different property tax bands, the revenue map suggests the lower band, but if I opt for the lower value I could face a fine in the future for underdeclaring the value of my house. Also what happens if you put in the value of your home in good faith and something opens nearby like a school, shopping centre, factory etc that then increases the value. Is it fair to penalise someone when something unforeseen happens to increase the future value of your property ? They are asking what you property is worth NOW. The Revenue publication of property vales in its website is wholly irresponsible. It must be withdrawn unless the motive for publication is to cause a complete crash in property selling prices. My initial view that this web page was irresponsible is further confirmed now that individual homeowners are receiving Revenue valuations that have no correlation with the web page. In my own area the web page valuation would not buy any property, large or small. I own a bungalow in Kildare which I have rented as two units. One bed and two bed.I am being estimated by valuation website as two semi detached or apartments in the same category as a 5 bed bungalow on 25 acres next door. To have a valuation would cost approx €120 x two so its a catch twenty two really.Will see what develops when letters arrive. Ironic that properties could not be valued by the Government since the inception of the State but we should be able to value in 3 weeks or so in a market that is the most unstable since the State was formed. My house is valued at twice what i paid last year. Do i have to get a valuation or would sense dictate the value hasn’t raised 100% in the last 12 months! Bought my house last year for €120,000 & am hoping it’s value stays around that mark! Not fair if much more! No I am not confident of the true value of my property. The entire process is flawed because you could have two homes in the same location but one has had say a new kitchen, new bathroom, new windows, etc which would increase the value, which in turn will increase the tax. By introducing this tax based on market value, they have immediately killed off what is left of the domestic economy because no householder is going to carry out any improvements to their home which may make it more valuable, thus incurring higher taxes. So DIY stores who are already shedding staff, kitchen & bathroom installers, conservatory installers, small builders will have no work, more on the dole, less tax take, economy spirals down yet again. You would wonder how our so call Government cannot see this and it makes me wonder what planet they are on? The revenue price guide was spot on as was daft but strangely the form when it arrived put me into the next higher bracket,totally unjustified. The property tax ought to be based on the square footage of the house. Incentivise it.Base the figure on the energy efficiency of the property. The Dept of Finance and the Revenue have made a mess of something that should be simple. Why didn’t they have a flat charge for each area per square foot and maybe adjust for the age of the house. It would avoid a whole pile of confusion. Giving a guide and they saying you have to add or subtract from this yourself is pretty stupid. Having bought or sold 9 times I have yet to meet anyone who has not a pretty good idea of what their house will fetch at auction, this being the true market value of anything. The only issue here is people trying to somehow get a lower valuation for tax purposes than the actual market value. As for the taxman overvaluing properties, get a valuation done and challenge the taxman’s figures. But with Dublin region set to pay the majority of property tax a more important issue is to ensure all or most of the tax is spent on the area in which it raised. Yes, many homes are going to be undervalued. I have yet to hear of an over-valuation. Are there any? 3. Gradually bring in more accurate valutions over the next 3.5 years ? I live abroad so I am not directly concerned by the property tax. However, I had a look on the Revenue website at the area on the northside of Dublin where we sold my late mother’s house in 2009. We got € 475000 which was a good price at the time. The property register lists four houses sold in the same estate during 2012 for between € 340000 & € 375000. However, the whole estate (of approx. 250 houses) is listed by the Revenue in the € 250000-300000 band. If this is the actual amount quoted in the letters to the householders in the estate, and they don’t question it, there are straight away 250 under-valuations! Maybe the individual letters offer a more nuanced valuation that takes account of these recent sales. If so, why list the estate in the lower band in the first place? BTW, it is not in a mixed area and all the houses in the zone on the Revenue map would be worth in the range of € 300000-400000 even in the current market. No, I don’t think its fair. I live in an apartment and already pay a hefty management fee to maintain the grounds, lights etc where I live. To the argument that I chose to live in an apartment my response would be, no, I didn’t. I bought it because I couldn’t afford a house. I’m already in negative equity having taken a 20% paycut and do not have the funds to pay this additional charge.